This full snow moon night . Written for the Carpe Diem Haiku Challenge . Today’s prompt is ‘ Full Snow Moon ‘ . 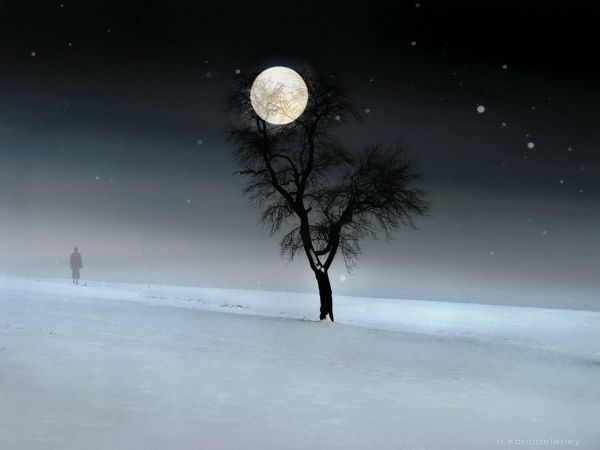 Full snow moon is the term given to the full moon that occurs in the month of February in North America where it snows during the month of February . What a nice haiku you share here with us. I like that it rhymes, however haiku don't rhyme mostly. I love the way it rhymes, it has an old world charm about it. Very nice! You paint a beautiful picture here …loved it !!! nice combination of rhyme n haiku…an innovation here! !